Daniel Shaw received a warrant for 850 acres (1, p. 8) (2, p. 511). 1742  Daniel Shaw wrote his will stating his son Amos was to obtain a grant for his warrant (2, p. 511). 1744  Daniel died and Amos had the 850 acre warrant surveyed and received the grant (2, p. 511). 1751  Amos Shaw sold the plantation to William Turner (2, p. 511). 1754  William Glenn was owner of Rice Hope (1, p. 7) (2, p. 511). 1765  William and Martha Glenn sold the plantation to Henry Futhy (1, p. 7) (2, p. 511). 1797  Captain Francis Green owned the property (1, p. 7). 1807  William Green was owner (1, p. 7-8). 1833  Sometime after this year, John Potts Ford acquired Rice Hope Plantation (2, p. 513). 1856  Ford died and his wife and daughters remained at Rice Hope. Ford's son-in-law Paul Fitzsimons took over the plantation's rice production (2, p. 513). 1871  Fitzsimons passed away and his wife Martha Selina Ford Fitzsimons appears to have been Rice Hope's owner. 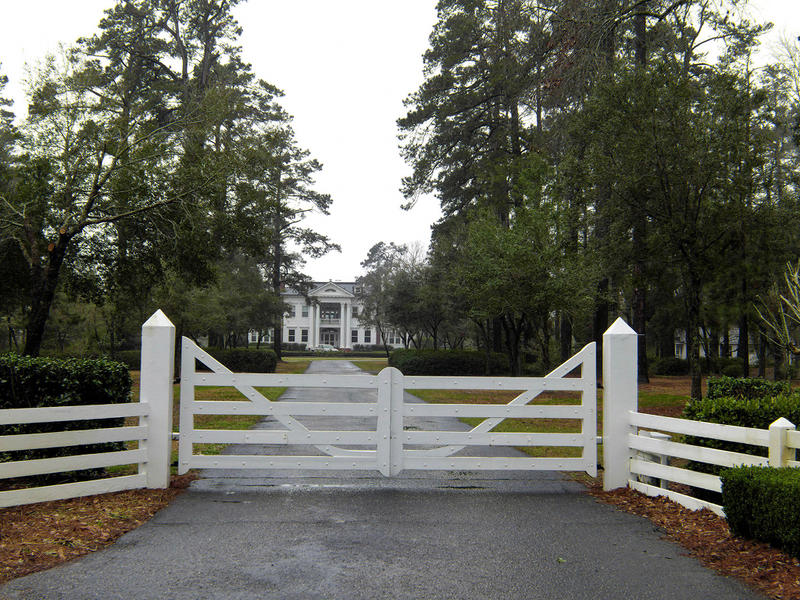 She leased the plantation to her son-in-law George LaBruce (2, p. 513). 1884  Martha died and Rice Hope passed to her youngest sister Ann Elizabeth Ford. Ann was married to first cousin Thomas Ford. The Fords ran into financial troubles and obtained a mortgage from Oliver Brightman Skinner using Rice Hope as collateral (2, p. 514).
?  The Fords defaulted on the mortgage and Rice Hope was foreclosed on. The plantation would be transferred to Skinner's widow and heirs (2, p. 514). 1919  The heirs of O.B. Skinner sold the plantation to James A. Waddell (2, p. 514). 1919  Waddell began a cattle business and deeded the property to the Waddell Ranch Corporation. He also built a large house on a bluff overlooking the river (1, p. 5) (2, p. 514). 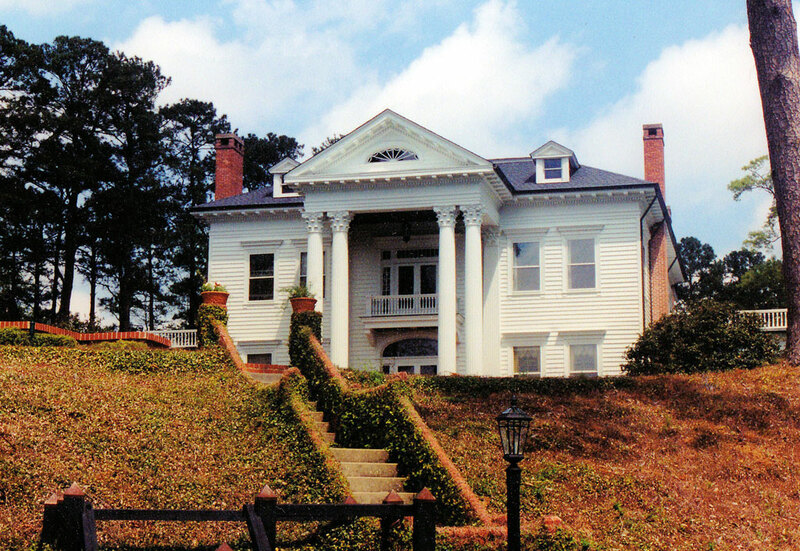 1928  Waddell declared bankruptcy and lost the plantation to foreclosure (1, p. 8). 1928  Willis E. Fertig purchased the property (1, p. 8). 1942  The plantation was purchased by the International Paper Company from Fertig and was used as a resort by employees and guests (1, p. 5). 1986  The International Paper Company sold to John and Suzanne Hudson. The Hudsons restored the house and grounds (1, p. 8) (2, p. 514). 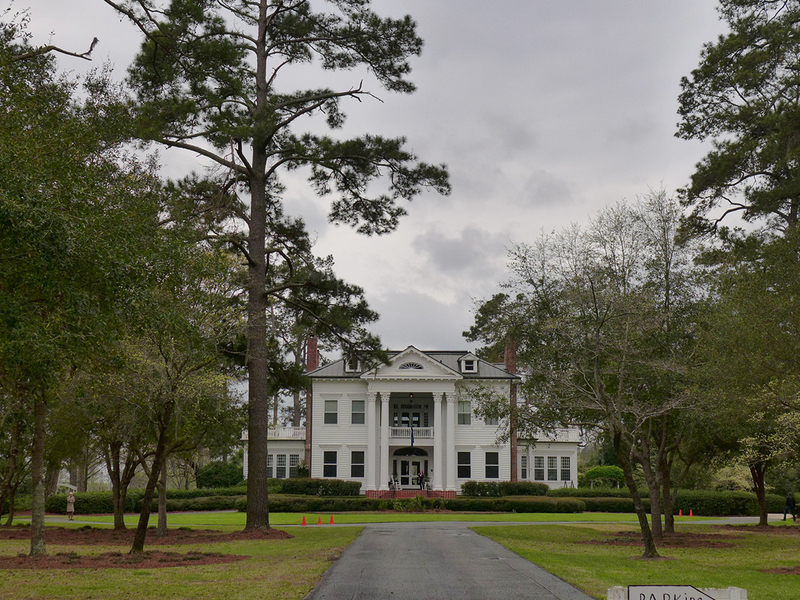 2004  The nursing home scenes in the movie The Notebook were shot at the plantation. It has long been rumored that the 1919 house was a Sears 'kit house.' Kit houses were very popular at this time but the Rice Hope Plantation is not a Sears house (1, p. 5).